Desy Safán-Gerard was born in Santiago, Chile, where she did her initial training in psychology. She studied musical composition with composers Leon Schidlowski and Gustavo Becerra and held a position as a therapist and researcher in the Faculty of Music of the University of Chile. She created and conducted an a capella choir that won her a scholarship for a four month residency in Israel. Back in Chile, she taught about groups in the Psychology Department of the Univeristy and psychology of art in the Art Department of the Catholic University. A Fulbright fellowship allowed her to pursue graduate studies at UC Berkeley where she obtained an MA in psychology. Her dissertation dealt with the psychological determinants of musical taste. Some years later, she continued graduate work in the Department of Psychology at UCLA and obtained a PhD in clinical psychology in 1974. Because of her longstanding interest in psychoanalysis, she pursued psychoanalytic training at the PCC (Psychoanalytic Center of California) in Los Angeles where she is currently a Training and Supervising Analyst. Desy has led a threefold life in music, painting, and psychoanalysis since childhood. 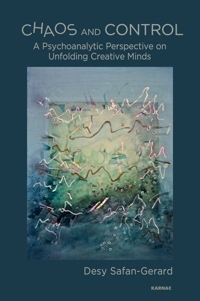 Her book is a compilation of papers presented in Los Angeles, CA and abroad on the issues confronting a person engaged in the creative process and on the unique needs of creative patients in treatment.